One of you can win this movie as well! Ends Aug. 14, 2106. Good luck! I would give this to my daughter so she can watch it with her family. I will give it to my Mom. It sounds like a movie she would enjoy. I will give it to my elderly neighbor who only watches uplifting movies. I would give it to a friend and neighbor that I help out. Her name is Amy and she has cerebral palsy. She watches religious shows on tv. She also likes to watch religious and uplifting movies. She’s been wanting to see this movie since she first saw the trailer on tv. I’ll give this to my friend Suzi. I would add this one to my own collection and watch it with the kids. I would give it to my Mom so everyone in the family could see it. Thank you!! 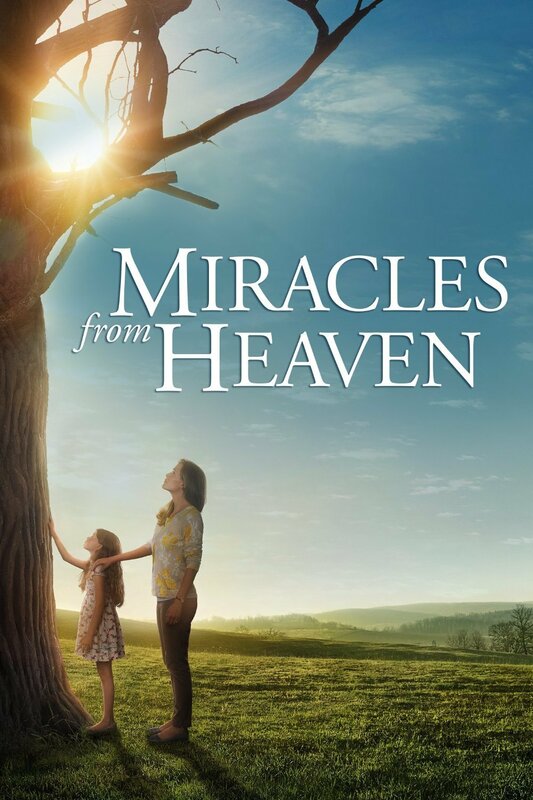 Both me and my brother want to see #MiraclesfromHeaven. I thank you for giving us all the chance to win this fine DVD. I WOULD KEEP THE PRIZE FOR ME AND MY FAMILY. This would be for the video shelf. I would keep this. I would watch with my daughter and mother. I would share the movie with my family. I would give this to my brother and his family. I would give it to my cousin’s family. I’d take my 14 year old granddaughter. I will give it to my husband because he has not seen this movie yet. i would love to win this for my family. we love inspirational stories. i can’t wait to see this movie. I’d keep this for movie night with the family. Looks good! the whole family! this would be great for the whole family to watch together! I’ll keep it for my daughter. I would keep this for myself; I would love to see this movie. This will be for me and my daughter. I will be watching this excellent movie with my mom. Thank you for the chance to win. I would keep it since I have a daughter who had Cancer at 7 and my son has a heart transplant. I would give this to my mother-in-law. She loves movies like this! I would keep it for my family. We have not seen the movie yet. I would gift to my sister so she can watch with her daughter. I think they would love it. We would love to have this for our family. I would keep this formy family and I.
I would give this to my mom, we love watching these kind of movies together! I’d like to keep this for my family! I would keep this for myself, so my daughter and I can watch the movie. I would keep it and watch it with my family. We haven’t seen it yet. I would give this to my Granddaughter, if I won. I’d love to win this for myself. Looks like a very good, uplifting movie. Thanks. I would keep the DVD for myself. Thanks for the giveaway! I would share this with a friend. My family and I would like to watch this together as well. I would give this to my sister! she loves this movie! I would give this to my friend Christine for her family. I’d give this to my Mom; she would like this. I’ll share this with my whole family 🙂 I think we’d really enjoy this film! I would give this my aunt. She was just diagnosed with cancer and I think it would be uplifting for her. I would give it to my sister. She’s been through a lot and could use an up-lifting movie. I would share this with my family and my friend April. They would all enjoy it very much! I would give this to my daughter for us to watch. This looks like a good movie. I’ll share it with my sister! 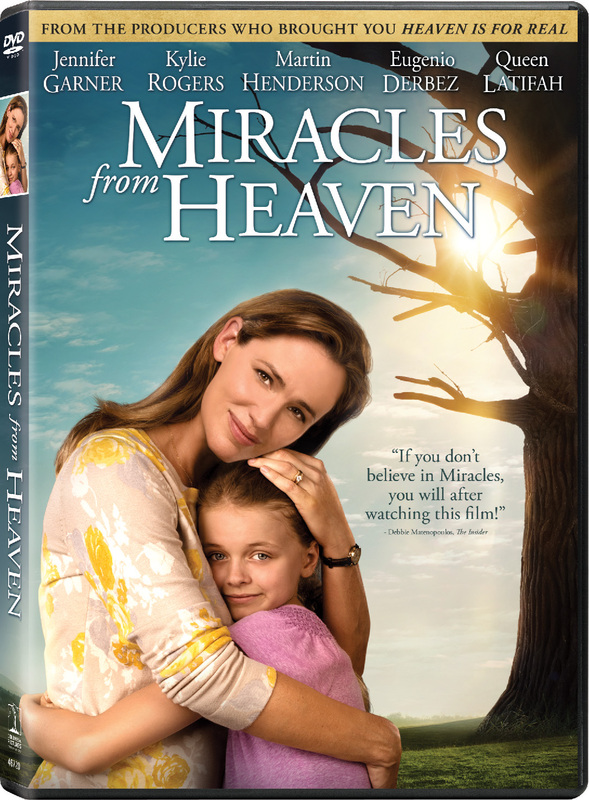 I would give the Miracles From Heaven DVD to my family, so we can all watch it together. I’d give this to my mom, so we can watch it together. I would keep this to watch the movie with my BFF when she comes to visit and take her out to dinner with the gift card. I’d give it to my dtr for her to use. thanks! I would keep it for myself. I really want to see this movie. I didn’t get to go see at the theater. thank you! I would give it to my daughter. She loves these type movies and is a big Jennifer Garner fan. I will give it to all my nieces and nephews. I would give this to my sister. She’ll love it ! I will give this to my husband. I will keep this for our family movie collection. I would love to watch this with my husband and children. I think they would really like it. It seems like a great family movie. I would give this to my daughter and her family. I would give this to my mom. She would love it. Two of my kids have seen this but the other three and myself, we have not.We would all watch together. I will give this to my Daughter. I think she will enjoy the movie. I would be happy to give this to my daughter and she would share it. I would keep this for my family. My youngest daughter went to see this movie and has been asking for it ever since. I would give it to my friend who would enjoy it with her family. I would share this with my immediate family. I would give this to my best friend, Jo. My sister and I will enjoy this. We love watching movies together. I would give this to my SIL–she could use a nice movie night with some fun snacks and good company. Really, the entire family would love this. I will share this with my family. I would share this with my sis. We both want to see this movie. I will give this to my daughter. 🙂 Thank you. I would give this to my wife if I won. Thanks for the giveaway. I hope that I win. This would be for my family and I. Thanks so much.